Saw this magazine special on sale in Tesco's today.....might be of interest. "The British Motor Corporation special issue covers all the greats, from the diminutive Mini, to the mighty Austin-Healey 3000 and rare Wolseley Viking, plus the Morris Minor, Austin 3 Litre and Riley One-Point-Five. It celebrates and reveres the charismatic British machines that were so common on our roads during the Fifties and Sixties. 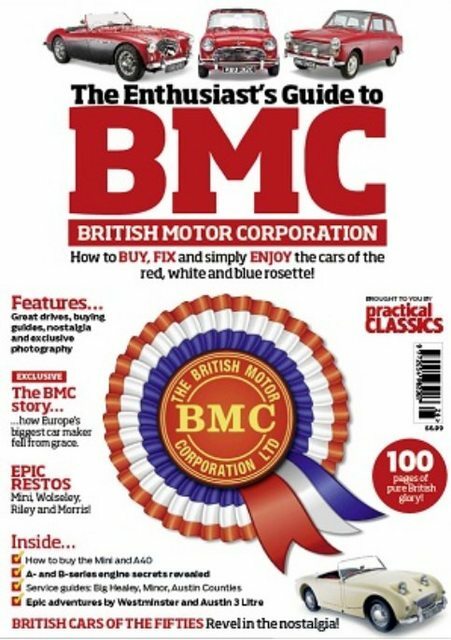 It’s an engrossing compilation of the best BMC features from Practical Classics magazine’s back catalogue."